Replacement dropouts for Whyte bicycles. A spare bolt-on rear dropout is invaluable if your derailleur gets whacked and your original gear hanger needs replaced. Worth carrying as a spare, especially on long trips and more epic rides. To find your hanger code please refer to the charts pictured (Model Years 2010 through 2017). If your unsure as to which hanger you require or can't see your bike listed please contact us by email, phone or drop into your local store. DROPWH17 - Whyte 901 (2017 & 2018), 905 (2017 & 2018), 909 (2017 &2018), Friston (2017 & 2018), Gisburn (2017 & 2018). 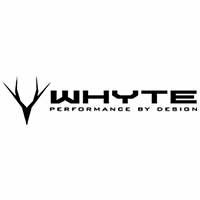 DROPWH19 - Whyte 19 (2005 & 2006), Whyte 19 works (2007), Whyte 19 Race (2007-2008), Whyte 19 Team (2008), Whyte 19 Trail (2007-2010), Whyte 19 Steel (2010-2012), Whyte 19 Alloy (2011-2012), Whyte 19 Ti ( 2009-2012), 909 (2014-2015), 909 (2013), 829 (2012), 929 (2013). DROPWHQ4SR - T-130S (2015), T-130S SCR (2016), T-130 Works (2015, 2017 & 2018), T-130SX (2015), T-130 C RS SCR (2016, 2017 & 2018), T-129 WORKS SCR (2015), T-129 S (2013-2016), T-129 (2013-14), G-150 WORKS. SCR (2015), G-150 WORKS (2014), G-150 (2014), G-150 S SCR (2015), G-160 RS SCR (2016 & 2017), G-160 WORKS SCR (2016 & 2017), T-130S. Click hereto find out the suitable drop out hanger for your bike.